Who is The Next AIG? Many big bailed out corporations are likely making it rain with secret bonuses to execs - AIG style. If AIG’s bonus checks make you mad, keep your pitchfork handy. Here’s the secret behind the government’s bailouts: Any bank big enough to get billions in bailout cash is almost certainly giving out bonus checks too. It’s just that they won’t tell you. Huge annual bonuses — and the secrecy around them — are so ingrained in the culture of Wall Street that even a global economic meltdown can’t stop them. Most top execs, stock traders and the like earn the vast majority of their take-home pay in the form of a bonus — not base salary — and some employees receive far more than $1 million. Sen. Robert Menendez (D-N.J.) is demanding to learn more about as much as $3 billion in bonuses at Morgan Stanley — which took in $10 billion in TARP money. New York Attorney General Andrew Cuomo is in talks with the eight biggest TARP recipients among banks about their bonuses. Is the next AIG on that list? That’s what Menendez and Cuomo are trying to find out. But without a serious investigation, the secrecy persists — several of the top 10 recipients of taxpayer money from the TARP program refused to comment to POLITICO when asked how much bonus cash they doled out to employees in 2008. “We haven’t disclosed it at this point,” said a spokeswoman for Goldman Sachs, which took $10 billion in taxpayer money. That line was echoed by Citigroup ($45 billion in bailout funds), Wells Fargo ($25 billion), JPMorgan Chase ($25 billion) and PNC Financial Services ($7.6 billion). Contrast that to General Motors, the only top TARP recipient that says it swore off bonuses entirely in 2009. “If you’re keeping score at home — no raises, no bonuses, no stock options, matching 401(k)’s: gone,” said spokesman Greg Martin. The top ten firms in the TARP program have collectively taken more than $260 billion in federal investment, and some have taken billions more in direct and indirect taxpayer bailouts. And yet some might have given total employee bonus packages that dramatically exceed the $165 million in retention payments at AIG that have caused an explosive scandal in Washington. “When the vast majority of taxpayers are trying to avoid a pink slip, let alone get a bonus, it’s really an affront that taxpayer money is going to pad the bottom line for people at these banks,” said Steve Ellis, a vice president of the group Taxpayers for Common Sense. In Washington Thursday, the House of Representatives approved a new 90 percent tax on bonuses for AIG and other financial firms that have received bailout funds — a move that’s causing intense frustration on Wall Street. “That’s it, I just lost everything I earned in 2008,” said an executive at a Wall Street firm that took bailout money. In the boardrooms, corporate officers are worrying that their 2008 bonus payments could come under the same scrutiny that AIG has faced. “There’s going to be a huge political outcry, and they’re trying to figure out what to do,” said one financial services executive. Still, the days of secrecy surrounding the practice may be coming to an end. Generally, companies are required to disclose only the total compensation of senior executives, and the reports they file with the Securities and Exchange Commission offer detailed breakdowns of the lucrative pay packages, including stock options, perks and, yes, bonuses. Disclosure stops with top officials, and companies are not required to reveal their total bonus pool for all employees. Some details have come to light so far: Merrill Lynch, which has been taken over by Bank of America, reportedly paid $3.6 billion in bonuses at the end of 2008, which included 700 payouts of more than $1 million. That effort has become controversial because Merrill rushed the bulk of the bonuses out the door in December, ahead of the firm’s takeover by Bank of America. Traditionally, year-end bonuses are decided upon in December and paid early in the next year. Cuomo is also investigating the Merrill Lynch bonus payouts. Firms — including AIG — argue that withholding the bonuses, or allowing them to be taxed at exorbitant rates, will end up causing a brain-drain at the very companies the government is spending billions in taxpayer dollars to help. If bailed-out firms can’t give bonuses, they fear top-paid talent will depart en masse to work at non-TARP firms, undermining those companies that took government money. But many also recognize the political futility of arguing in favor of hefty bonus payments in the midst of a disastrous recession. Some companies have already taken steps to mitigate the public relations problem of big bonus payouts – at least for their top executives, whose information is publicly revealed. AIG also is disclosing more about its bonus program, in light of the controversy. 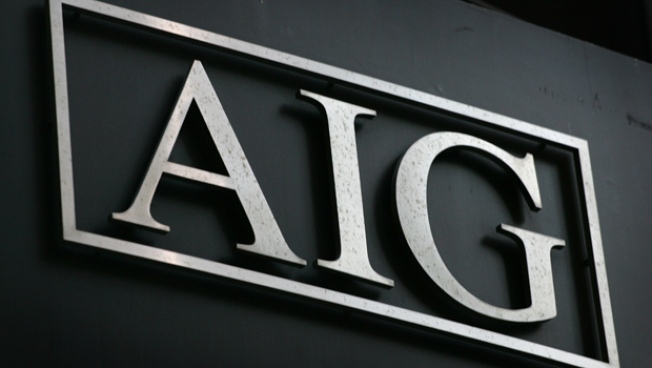 Spokesman Nick Ashooh says that his firm paid 2008 bonuses outside the controversial payouts to the AIG Financial Products unit of the company. Those payments amounted to about $120 million to a pool of more than 6,000 employees. By the terms of an agreement with Treasury Secretary Timothy Geithner, 47 AIG senior executives will split a scaled down pool of $4.7 million in bonuses, which they can only collect if they hit certain performance targets.